The oil and gas pipeline industry has been growing rapidly, prompting the need for increased regulatory and traceability scrutiny that requires pipeline owners and operators to ensure pipe assets adhere to stringent and expanding regulatory compliance requirements. Intertek’s unique pipeline quality verification solution, Intertek PipeAware, effectively manages complex piping supply chain projects to ensure that materials meet not only regulatory requirements, but also customer and industry quality standards in all stages of manufacturing. PipeAware offers pipeline owners and operators traceability and easy access to the inspection, testing and material data needed to make informed decisions that ensure pipelines operate safely and efficiently. By combining tracking and inspection into one task customers have full transparency into the manufacturing process, near real-time viewing of critical data, and always-accessible digital records which are vital for assurance and compliance purposes. PipeAware offers complete customer confidence in the pipe manufacturing processes as the software can verify all inspection data is within the proper predetermined specifications, delivering an end-to-end systemic Total Quality Assurance service. In addition, gaining access to this data long after pipeline construction and deployment projects are complete is important should an incident or problem occur and quality verification is needed for research and resolution. Intertek PipeAware delivers the assurance, expertise, accuracy and efficiency that customers have come to rely on for safe and reliable operation of pipe assets. Access our webinar to learn about the key features and benefits of PipeAware. 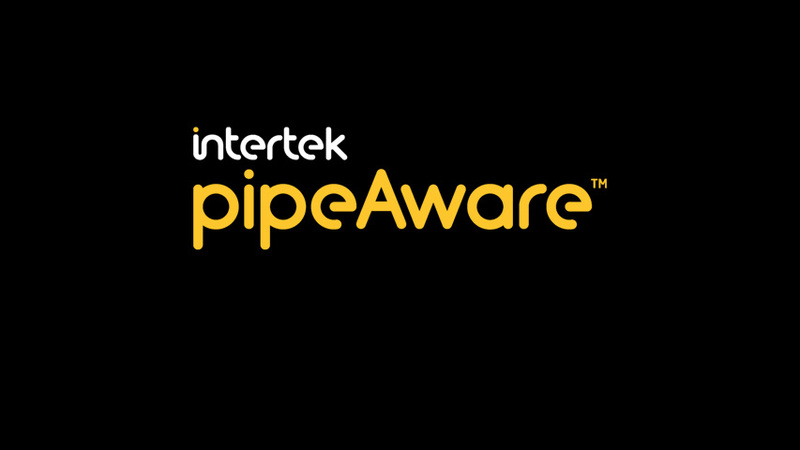 Sign up to receive the latest news, special offers and events information related to Intertek’s pipeline solutions including PipeAware.